Alexandria, Va. (Jan. 14, 2015) - As Sen. Lamar Alexander (R-TN), Chairman of the Senate Health, Education, Labor and Pensions Committee, Sen. Patty Murray (D-WA), and other lawmakers discuss their priorities for reauthorizing the Elementary and Secondary Education Act (ESEA) , the National School Boards Association announces its top priorities to advance student achievement and ensure all students have equitable access to a high quality education. Also in a speech Monday (Jan. 12), U.S. Secretary of Education Arne Duncan outlined Administration priorities for reauthorizing No Child Left Behind (NCLB), the latest iteration of ESEA. Alexandria, VA (Dec. 5, 2014) – The National School Boards Association (NSBA) applauds the efforts of Federal Communications Commission (FCC) Chairman Wheeler to infuse $1.5 billion into the E-rate program, and is placing its support on-record in advance of a December 11 Open Meeting in which a second FCC Report and Order on modernizing the E-rate program will undergo consideration. Alexandria, Va. (Oct. 13, 2014) – With the start of National School Lunch Week today, the National School Boards Association (NSBA) is calling for flexibility and relief from the U.S. Congress and the U.S. Department of Agriculture (USDA) to address the unintended consequences of onerous requirements for federal school meal programs in the Healthy, Hunger-Free Kids Act. While the ever-expanding role of the U.S. Department of Education in state and local level matters remains a concern, the National School Boards Association (NSBA) acknowledges benefits of the proposed revisions to the School Improvement Grants (SIG) program, extending the grant period from three to five years, and allowing local education agencies to use SIG funds to implement, in one or more SIG eligible schools, a state-determined intervention model. Thomas J. Gentzel, Executive Director of the National School Boards Association (NSBA), today received the Edward Donley Education Policy Leadership Award from the Education Policy and Leadership Center (EPLC). 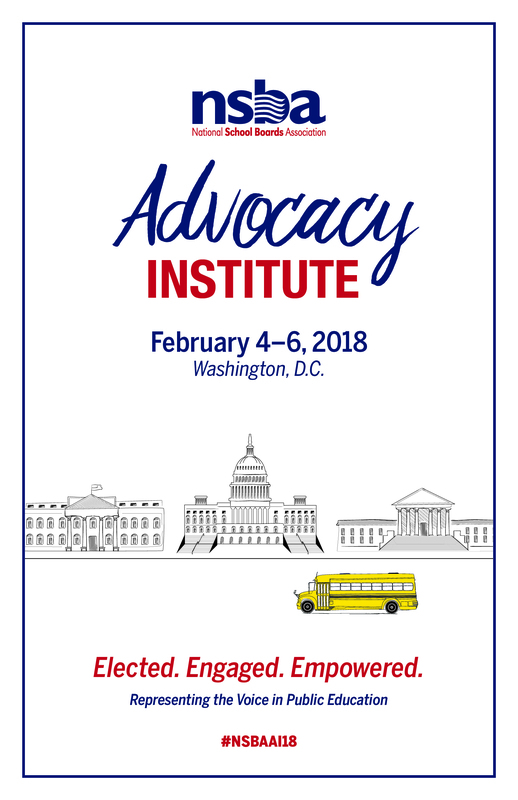 Each year EPLC presents the award to individuals who demonstrate commitment to stronger educational opportunities for all, and who work hard to improve the effectiveness of local, state, and national education policy. Hailed as “NASA’s first educator astronaut to reach orbit,” Barbara Morgan is the latest distinguished American to join the “Stand Up 4 Public Schools” campaign of the National School Boards Association (NSBA). Morgan, a former elementary school teacher, was NASA's first educator astronaut. She served on a 13-day mission onboard the space shuttle Endeavour in 2007. She previously trained as the backup to Teacher-in-Space Christa McAuliffe, who was a member of the ill-fated 1986 Challenger mission. NSBA reiterates support for school kitchen equipment modernization funding and temporary relief for school districts struggling with child nutrition regulations.